Make a colorful pearl necklace with these dyed AA+ round pearls. 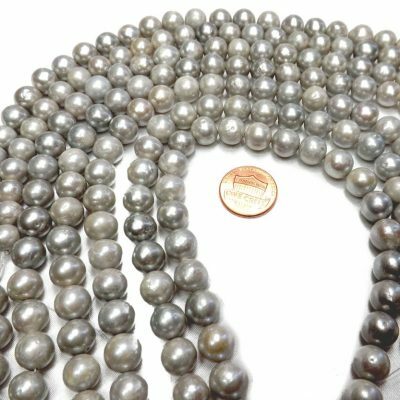 There are approximately 66 pearls on each 15″-15.5″ strand and each strand has an approximate weight of 21grams. 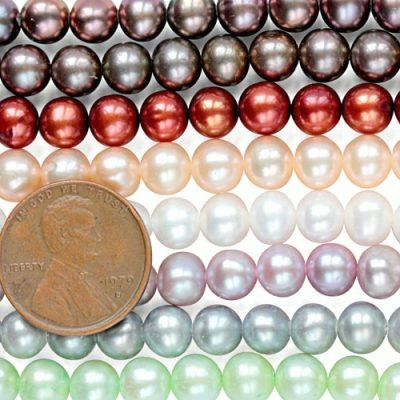 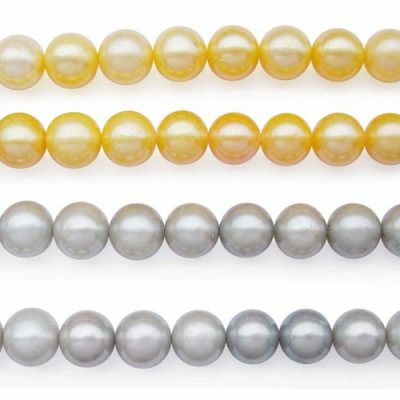 These pearls have a high luster with minimal markings and flaws upon close examination. 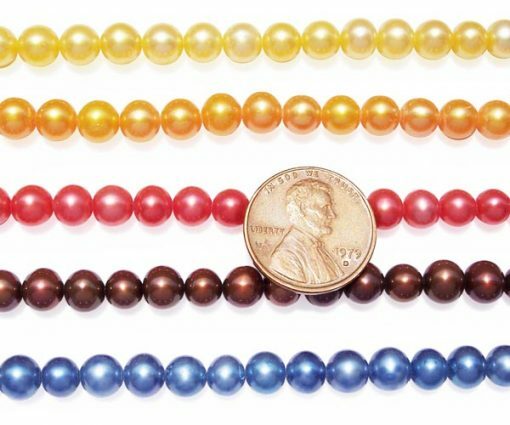 Only chocolate pearls are available now.